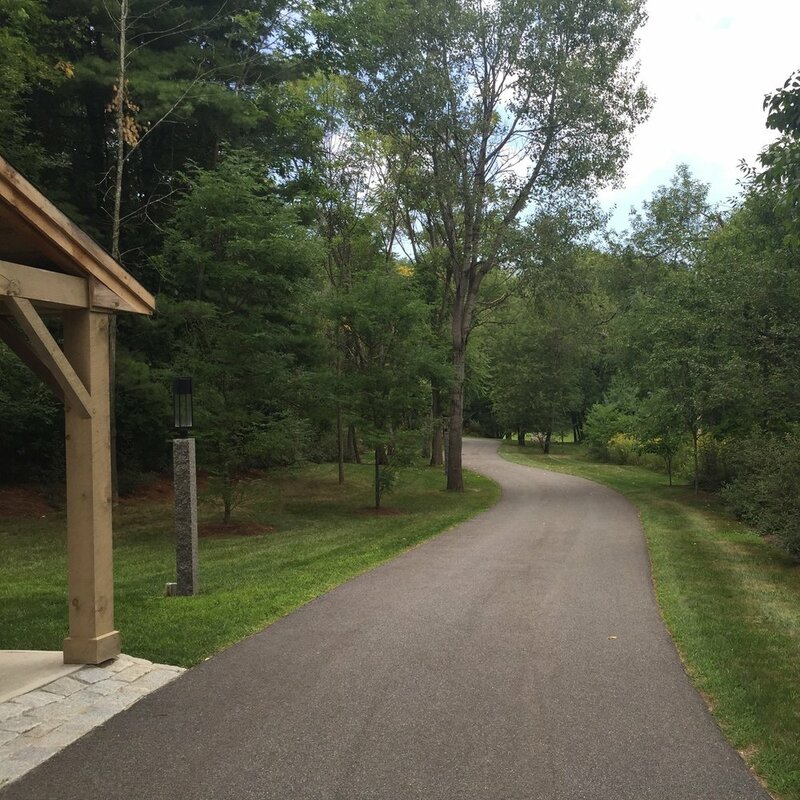 IDDLA developed a phased master plan for this 6-acre property and has subsequently completed the 1st phase of landscape development, the entry drive. The entry drive landscape was designed to create a sequential experience that unfolds as visitors approach the main house. This landscape builds on existing views and mature trees. As the evergreen viburnum hedge grows it will provide a visual screen from neighbors, define the meandering driveway and emphasize the grove of trees that animate the landscape. The early blossoms of white red bud trees are heightened by the new white pine planting behind them. A wildflower meadow creates native habitat adjacent to adjoining conservation land and offers year-round color and texture. All plantings are native and deer-resistant.